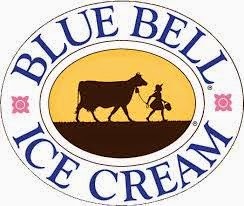 First, we will travel to the Blue Bell Ice Cream Factory for a tour from 10-11 a.m. Tickets are $3.00 each. Sylacauga is located about 45 miles southeast of Birmingham off of Highway 280 in central Alabama. Tours last 45 minutes and include a serving of ice cream. No Cameras are permitted on the tour. Check in with Jackie Reames at the Country Store upon arrival. Then we will travel to the BB Comer Library for a free storytelling event- Money Still Talks - It Just Used to Say a Lot More. Sylacauga, AL. Free and open to all! Stories about first jobs, found fortunes, shopping sprees, and loose change. Part of the library's "Brown Bag" series. Bring a sack lunch, if you like, to enjoy in the meeting room from 11 - 12 (beverages and desserts are provided by kind volunteers), then head into the auditorium for the noontime program. For information, call the library at 256-249-0961. Contact Jackie Reames at 256-506-9923 (text preferred) if you wish to attend. Deadline for signing up is March 3rd.